First-floor apartment of a completely renovated, three-storey building. 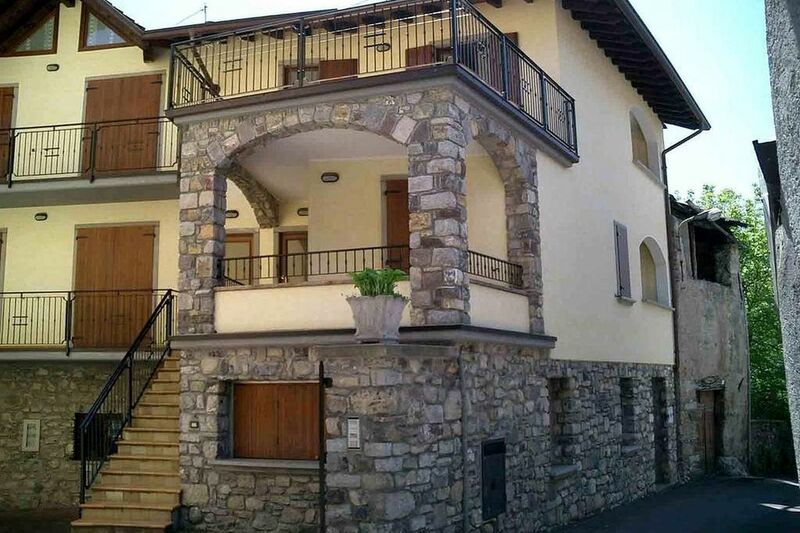 The accommodation is situated in the centre of a peaceful town in the mountains, 870m above sea level. The bedroom gives access to a covered terrace equipped with a table and two chairs. Ossimo Superiore is part of the Altopiano del Sole plateau, well-known among the trekking, mountain bike and leisure fishing lovers. The tranquil area is also ideal for hiking. It features many protected areas such as the famous &quot;Parco delle Incisioni Rupestri&quot; (&quot;National Park of Rock Engravings&quot;), a UNESCO world heritage site with prehistoric relics dating back to 10.000 years ago. A public parking area is available 50m from the property. Within the same distance you will find a local restaurant, as well as grocery shops. A shopping mall is 13km away. Lake Iseo is 30km away.